“However, there still remain some troubling events taking place concerning the continued support of C.J. Mahaney, especially unnecessary public support from high profile Southern Baptists. I’ll mention two. First, regardless of Together for the Gospel’s rewriting of its history leaving out one of the key founding members, C.J. 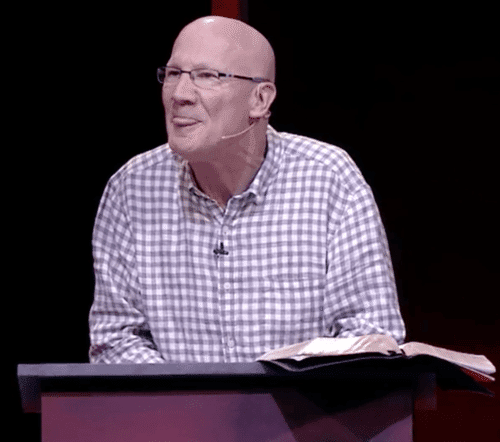 Mahaney, fellow Together for the Gospel founder, Al Mohler, remains close friends with Mahaney, so close in fact Mohler has offered unwavering support for C.J. Mahaney publicly insisting upon Mahaney’s total innocence from any wrong-doing toward the sexually abused victims. 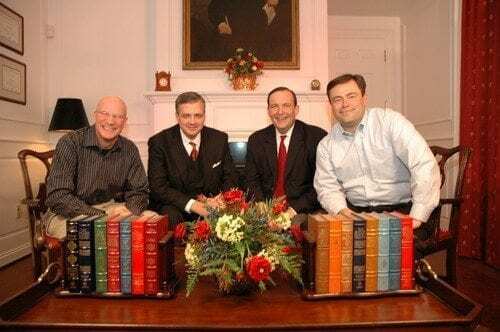 Nor did Mohler fail to unequivocally defend Mahaney when specific charges of failed leadership were brought by prominent pastors in Mahaney’s own denomination. Mohler publicly dismissed their complaints outright. Not that being friends with Mahaney is morally inappropriate. However, it seems to me Mohler’s public support for Mahaney continues to cross the threshold of proper discretion by dragging all Southern Baptists across the threshold with him. 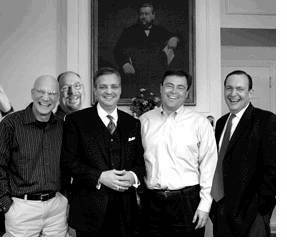 The fact is Al Mohler is an employee of Southern Baptists. He cannot and should not be empowered to jeopardize either our entities or our name by forging friendly liaisons with people or organizations who pose probable liability to us. Lumpkins then goes on to highlight the increasingly tight relationship between Mahaney/Sovereign Grace Ministries Pastors College and Al Mohler/Southern Baptist Theological Seminary as evidenced by the fact that Pastors College graduates would be allowed to transfer all their credits earned to a masters degree at Southern Baptist Theological Seminary. “Recently Sovereign Grace Ministries welcomed its 16th Pastors College class and the second in Louisville, Ky., where the ministry headquarters relocated in part to strengthen connections with Southern Seminary. “The first year proved to be a rich one with much blessing coming from our new location, including our degree-completion program with Southern Baptist Theological Seminary,” the group reported on its website. Last November, Sovereign Grace Ministries announced the program allowing Pastors College alumni to pursue a master of divinity degree from Southern Seminary without disrupting their church ministry. The program allows transfer of up to 35 credit hours from the Pastors College to Southern Seminary, more than a third of the way toward the 94 hours required for the M.Div. in Christian ministry. Flexible learning options including online courses and brief intensive classes make it possible for Sovereign Grace pastors to complete their studies without moving to Louisville. Below you can view the exact resolution which can be found here. All this to say that it looks like things are finally changing in the SBC. Leaders like Al Mohler, a good friend of Mahaney’s, are feeling the heat from their unabashed support of the beleaguered C.J. Mahaney and are having to back away from the man. Recently Jeff Purswell, Dean of the Sovereign Grace Pastors “college,” has sent out the following letter in which he had to announce that their relationship with Southern Baptist Theological Seminary (SBTS) has been severed. I’m writing with some disappointing news. Southern Seminary has informed me that it is discontinuing the formal relationship between Southern and Sovereign Grace. This is a rather complex situation, and I’m unable to share all of the internal factors influencing their decision. Suspicions cast upon Sovereign Grace by the ongoing civil suit, and again by the recent Morales case, have unfortunately produced pressures upon various friends and partners of Sovereign Grace. Such factors appear to have played a role in this suspension. My conversations with Southern representatives were nonetheless encouraging—they are grateful for Sovereign Grace’s influence and for the pastors who are studying at SBTS, and they hope this continues. This change involves only the formal degree-completion agreement between our organizations. •The key point is this: Future students from Sovereign Grace no longer qualify for automatic credit transfer or for an SBTS scholarship under the degree-completion program. •Fortunately, students who have already had their Pastors College credits transferred to SBTS retain those hours. •Students from Sovereign Grace continue to be welcome to apply to SBTS and may submit transcripts and request to have credits transferred from the Pastors College (or any other institution). These will be treated on a case-by-case basis, just like any other student. The status of the Pastors College as an academic institution from which SBTS will consider transfer credit has not changed. •Students from Sovereign Grace may apply for financial aid from SBTS. These will also be treated on a case-by-case basis, like any other student. •In sum, there is no longer a special agreement between SBTS and Sovereign Grace. Pastors College graduates may pursue degrees, credit-transfers, and financial aid like any other student, just not under the auspices of any agreement with SBTS. Officials at SBTS communicated that they want to do all they can to keep from penalizing current students who transferred credits from the Pastors College. They also desire to give students as much information as possible so that they can anticipate tuition costs. Moreover, they hope that Sovereign Grace students will continue to consider SBTS as they plan their academic futures. This is obviously a disappointing development. However, we as pastors should not be deterred from continuing to grow in our biblical and doctrinal understanding, whether that be informally or formally, through SBTS or another institution. We continue to appreciate SBTS and are grateful for the relationship we have enjoyed over the past couple of years, and it is possible that that relationship could be reestablished in the future. Even moreso, I am grateful for the blessing of the Pastors College and its unique mission to equip men for pastoral ministry within our family of churches. In God’s mercy, the college was built without reliance upon any single institution, and it will continue to be so. If you have any questions, please feel free to contact me or anyone on the Pastors College staff. 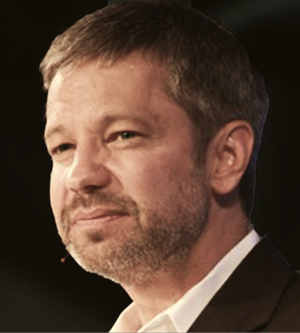 While it may be disappointing news to Jeff Purswell and those still loyal to Mahaney, I view it as a very positive step in the right direction for the SBC to restore integrity. Let’s hope Mahaney’s popularity as a conference circuit speaker and author continue to wane. Alyssa Doesn’t Lie, Prater and Mahaney Do! 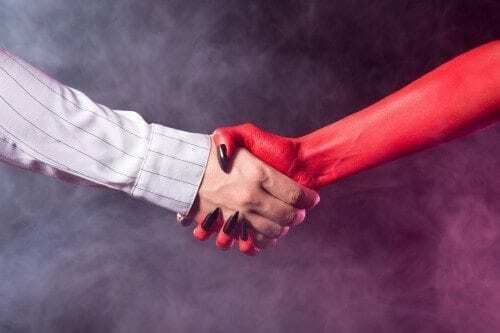 A Benefit of Partnership With Sovereign Grace Ministries? Mohler Googled Mahaney and Got His Favorite Sports Teams; I Get Something A Bit More Serious! Sovereign Grace Pastor Matthew Wassink Removed; Why Not C.J. Mahaney? Well said. It’s high time that someone pointed this out. I was a member of Covenant Life Circus for several years, before and after CJ’s tenure, and I can tell you that there is nothing scholarly about their ‘college’. It is really a 9-month indoctrination station where the Apostles “discern” who will tow the line and who won’t, after which time they are deployed in the field. Hi Todd, I don’t think it has anything at all to do with trying to restore integrity. Word on the street here is that there has been quite a bit of push back on this partnership with SBTS. It was starting to get more play in blog comments from Profs in other seminaries pointing out the academic problems involved. SGM does not have a reputation for scholarship at all. Many SGM pastors have not had college degrees or even grad work. That is not how the SBC operates. There were starting to be lots of questions on how SBTS could award credit to these pastors college students if they had no corresponding bachelors. When some went looking for how this was to work, the information from SBTS was murkey. I think Mohler got some pushback from certain quarters in the SBC. For example, this came up in one thread on an SBC pro Mohler pastors blog. I was shocked to see it. It is a blog with many writers and this blog post was a rarity as the writer is a non Cal and not popular over there. So that is saying something he was allowed to even post the question.. I was surprised it was allowed to even be asked because they often delete folks who bring up any negative about Mahaney or Driscoll. If you read the thread keep in mind, these guys thought Mohler could do no wrong. He was their pope and they stuck by him no matter what he did. 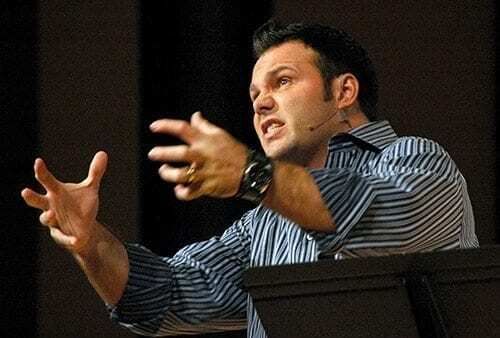 Just within the last year the tide is slowly turning against him by some CALVINIST Pastors. And it is because of the SGM/SBTS degree partnership. NOT THE MOLESTATIONS and coverups. But Mahaney is going no where. Mohler is not about to admit he propped up a charlatan. Thanks for the excellent information Lydia. I had honestly not even considered this aspect as the reason that SBTS severed their connection. It is quite a logical answer though. Hey Buddy!, I found this information for you: "Southern Baptist Theological Seminary Cuts Ties With Mahaney and Sovereign Grace Pastors College". Here is the website link: https://thouarttheman.org/2014/06/29/southern-baptist-theological-seminary-cuts-ties-with-mahaney-and-sovereign-grace-pastors-college/. Thank you.